Top row - left to right. Lee De'adman (Palmie), Beth Mackie (Bridge of Weir, Scotland), Jack Hayes (Godstone, England), Shane Hooks (Series Creator - Auckland,) Finn Jordan (Maine, USA). Bottom row - left to right. Kayla Dubey (Auckland - mates daughter helped at 4 races), Kaylee Holst (Rewa Hard mates daughter helped at 4 races), Natalie Waters (co-lead producer - Auckland), Casey Schuller (Maine USA), Mikayla McNabb (Papatoetoe proud and co-lead Producer). Left to Right. Top row. Natalie "Truckie" Waters (Auckland), Jay Ramsurrun (Wales), Shane Hooks (series creator - 6th season, Auckland), Kim Hellemans (Netherlands), Vincent Villers (Belgium), Tamara Hermans (Race director, 4th season, Netherlands). Front row. Jessisa Wanderer (England), Teah Goossen (Canada), Linnéa Blomqvist (Sweden), Arwyn Davies (Race director, 3rd season, Wales). Our team are guided by a set of values that set us apart from other events. This is what XRACE is all about. Here are our values. We want to create shared, magical experiences and leave indelible memories. We want to strengthen the bond between parents and children. We want to challenge our kids so that their self-esteem skyrockets and mum and dad get to shine in the moment. We want to empower children with disabilities - embracing and challenging everyone - encouraging competition and sportsmanship. AND. An XRACE can never use a screen. Bringing a series like XRACE to life requires a driven and committed team – dedicated to creating an unforgettable family experience. 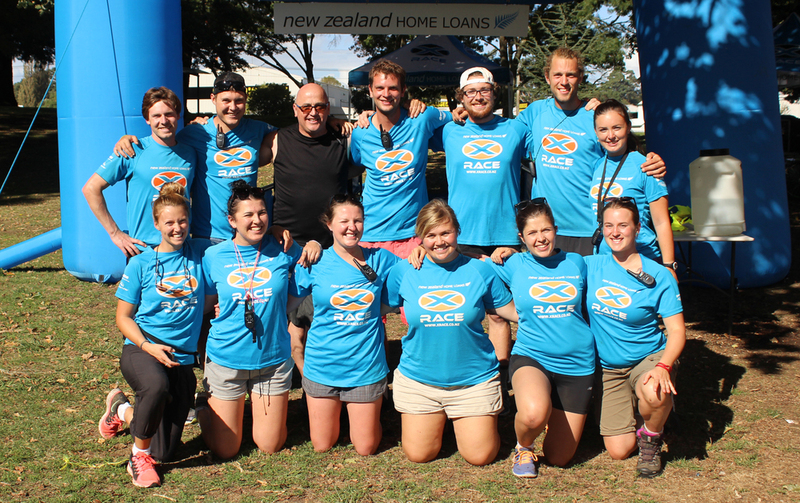 The New Zealand home loans XRACE series is owned and produced by Brand New Day. Producing a national series of events requires a truckload of hard work. This company has been producing active events for over twenty years – but nothing like XRACE. 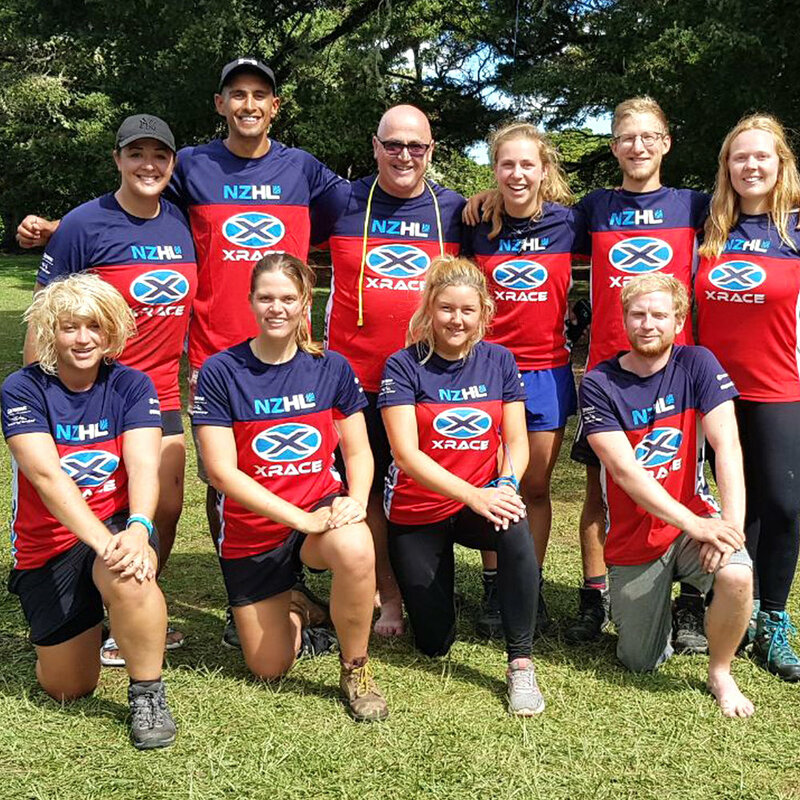 XRACE never existed until the team at Brand New Day created it – this event is no imported franchise from overseas, no copy-cat idea. Every ounce of XRACE is original. Series creator, Shane Hooks said the idea came from another series owned and produced by Brand New Day – The Special K Woman’s Triathlon Series (see video below). This phenomenally successful triathlon series ran from 2003 to 2009 and saw over 80,000 women accept Hooks’ challenge and become triathletes. This question took years to answer – three to be specific – as different ideas were rolled out and trialed. Some survived and others never saw light of day. XRACE went through many crazy incarnations and name changes. Poor friends were dragged out endlessly – to trial one crazy challenge idea after another before a name and format was decided on. Now into their sixth year, the team are still learning. From the production value standpoint, XRACE is incredibly difficult to produce. No other event goes out of its way to create as many moving parts as it takes to produce an event like XRACE. With that comes our secret ingredient. An ingredient that separates this successful production company from the rest - passion. - just ask the thousands of families that have already taken up the XRACE challenge. Top row. Mikkel Søe-Jensen (Denmark), Filip Melin (Sweden), Shane Hooks (Mein Führer), Cecilia Johansson (Sweden), Tamara Hermans (The Netherlands) third tour, Léonie Uijttewaal (The Netherlands). Front row. Arwyn Davies (Wales) second tour, Rhiannon Jones (Canada) third tour, Hedwych Bosma (The Netherlands), Novia Ng, (Auckland), Rhiannon Wimsett (Dannevegas). Top Row. Ben Franks (England), Shane Hooks (Mein Führer), Arwyn Davies (Wales), Sam Franks (England), Tom Cherrie (England). Front row. Jessica Elvins (England), Sarah Dawes (England), Abbie Naylor (Tron), Georgia Bulloch (Tron), Tamara Hermans (The Netherlands), Nadeche Agterberg (The Netherlands). Top Row (Left to Right): Killer "Kenny" Laurin (Canada), "Big" Ben Franks (England), Mein Führer Shane Hooks, "Typical" Tim Leigh (England), "Kenny" Jordan Schwartzbach (USA), "Lone Wolf" Scott Weersink (Canada), "Domestic Goddess" Sarah Dawes. Front Row: (Don't call me Mamma Bear) Rhiannon Jones (Canada), "GB" Georgia Bulloch (Tron), "Mary" Kathleen Hare (Canada), Avelynn Anderson (Canada), Ariana Bell (Wellington), "Bowline" Jackie Butler (Canada). Left to right: Scott, Christina, Shane Hooks, Heloise Mathieu (France) Jason Kitchener (Rewa Hard) Novia Ng (Auckland) Laura Bradley (Auckland) Lucas Chauvet (France) Rhiannon Jones (Canada) Emilie Martigne (France) Kieren Hooks (Putaruru) Scott Weersink (Canada) Tamara Hermans (Netherlands) Tammy-Lee Ambrose (South Africa) Katie Hackett (Pukekohe). Absent – Olivia Nadon (Canada – love called and she answered).